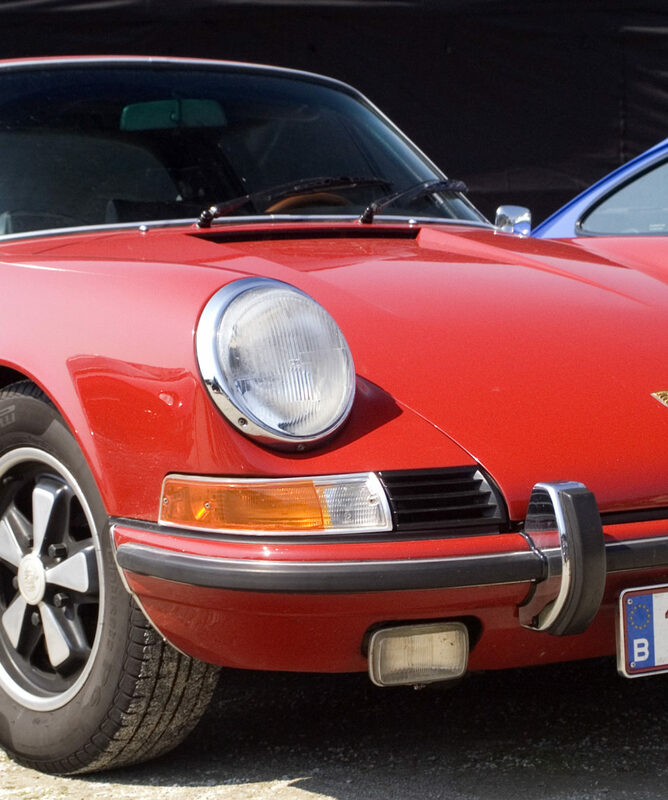 Over 2000 cars attend this annual show in northern Germany making it one of the largest Porsche meetings in the world. All about the Porsche Freunde Show 1 May 2019. Each year on 1st May (which is Labour Day bank holiday in Germany) the oval horse racing track in Dinslaken hosts a very different kind of horsepower from all over Europe - an incredible collection of individual Porsches line the perimeter of the track while clubs and groups fill the centre. As the official events partner for 911uk.com we will again be helping with the arrangements for their members attending the show, which will include a dedicated parking and display area. 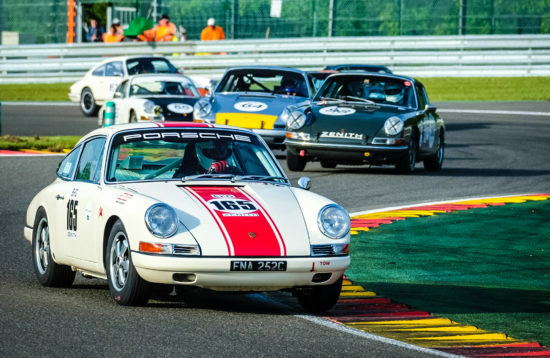 On the way to/from the show you can choose to take part in a private behind the scenes tour of the Spa Francorchamps circuit and visit Stuttgart, the home of Porsche and its amazing Museum. You will also have the chance to enjoy a wonderful meal in Porsche's famous Restaurant Christophorus. A trip to Stuttgart will not be complete without seeing the very impressive Mercedes Museum which is more of a history of motorised transport than simply being about Mercedes. After you have reviewed the options available please complete the booking form or contact us. Due to the number of options available please complete the booking form or contact us to let us know your requirements and we will put together a bespoke package for you. Perhaps cross the Channel today and stay in Calais tonight to break your journey from the UK and absorb the time difference while you sleep. This will give you all of tomorrow to enjoy the routes available through the Ardennes on the way to Spa. 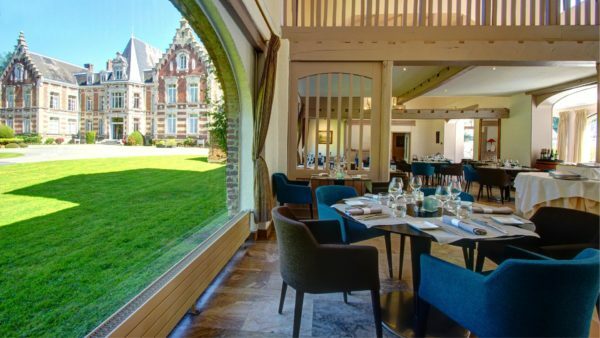 Alternatively arrive in France earlier and drive to Belgium where can sample the warm hospitality at a wonderful family run hotel near Bouillon in the heart of the Ardennes. 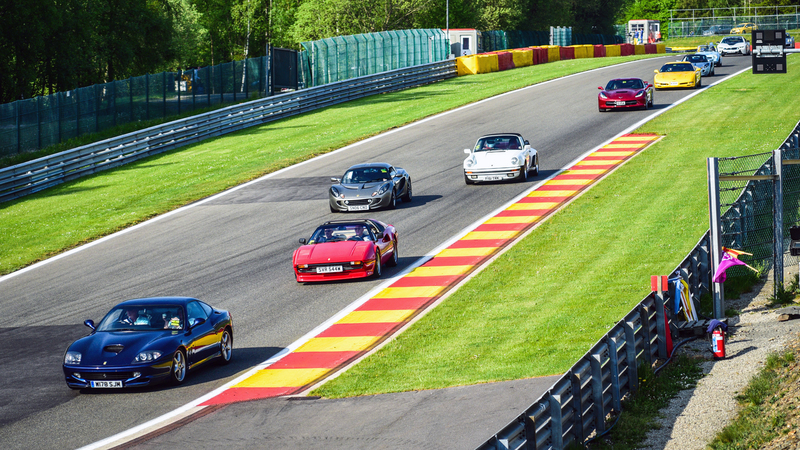 Experience some excellent roads in the Ardennes on the way to your hotel, which is conveniently close to the Spa Francorchamps circuit. You do not need to worry about which route to follow because if necessary we can supply you with some custom GPS files for your satnav, allowing you to concentrate on enjoying the driving and scenery. 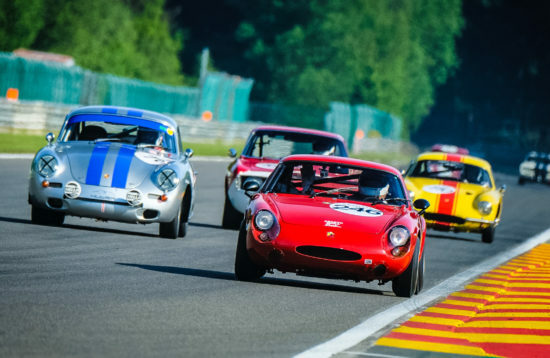 In the morning join the guided tour of the Spa Francorchamps circuit which gives you the chance to complete 2 laps in your own car. After lunch drive to Stuttgart. With an early start you should be able to visit the Mercedes and Porsche Museums before lunch in Porsche's Restaurant Christophoros. 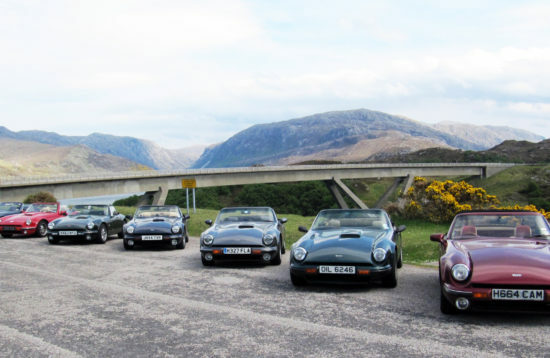 After lunch drive north and meet the rest of the group going to the Porsche Freunde Show. 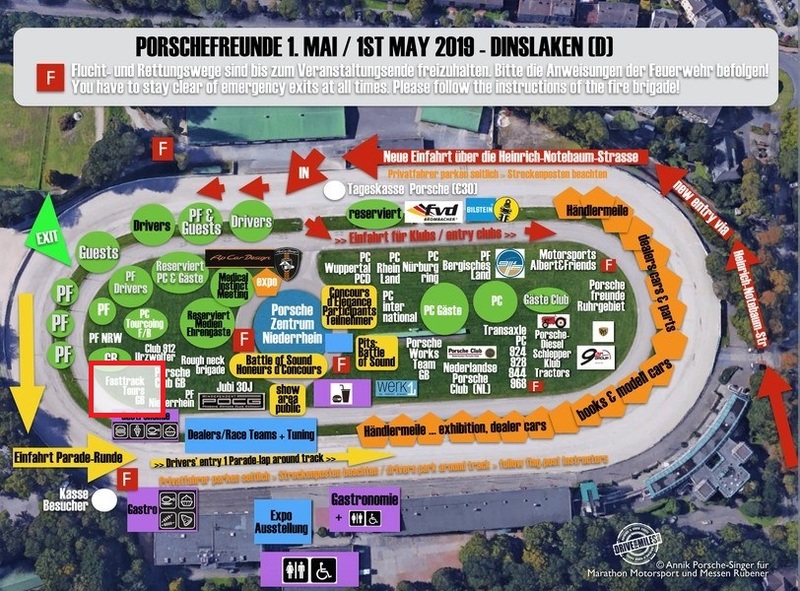 Today is the 2019 Porsche Freunde Show at Dinslaken where your parking place is reserved in our display area in the centre of the arena. Return home or drive to Stuttgart. After arriving in Stuttgart you will be able to visit the Porsche Museum. Enjoy the evening in Porsche's famous Restaurant Christophorus at the Museum. 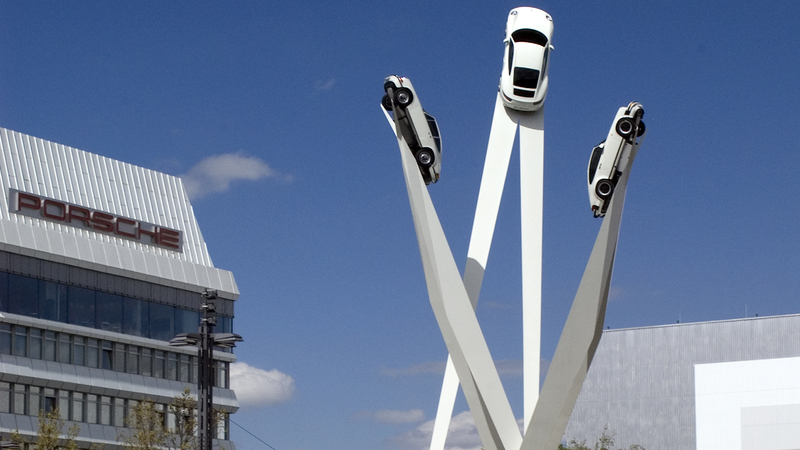 Don't forget to see the Mercedes museum before starting your journey home! This quiet 3 star hotel is the perfect place to stop if you have a long journey in the UK. 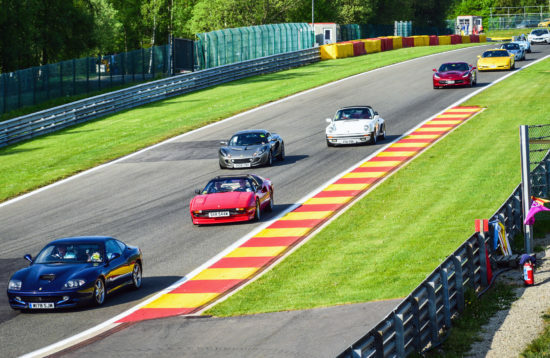 After absorbing the 1 hour time difference while you sleep, continue refreshed to Spa Francorchamps on the excellent roads through the Ardennes. An excellent hotel which is always extremely popular for our Spa based events so places are expected to fill quickly. The prices quoted are based on there being 12 cars. Please register your interest by completing the booking form. In the afternoon drive to Oberhausen to meet the rest of the group attending the Porsche Freunde show. Park in our reserved display area and then spend the day looking at an incredible collection of over 2000 Porsches. Please complete the booking form to reserve your parking space in our display area. Drive to Stuttgart in the morning and visit the Porsche Museum. Before leaving Stuttgart tomorrow you will have time to see the impressive Mercedes Museum.